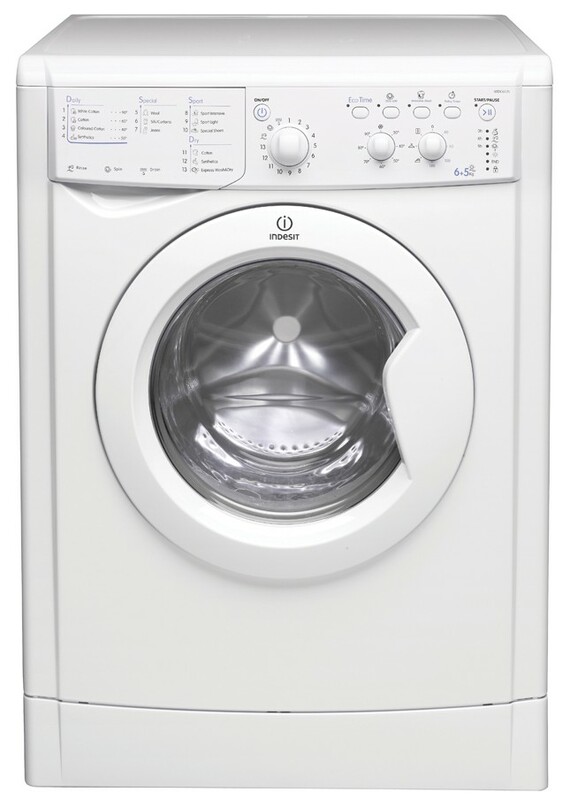 The Indesit IWDC6125 6kg/5kg 1200rpm Washer-Dryer, in white, has 16 programmes to choose from which include an Eco Time programme and easy iron and extra rinse options as well as three drying levels. An automatic sensor in the drum monitors moisture levels and stops the drum when your clothes are perfectly dry, ensuring your clothes stay as good as new. Select a machine with a multi-level sensor system and you will be able to select the level of dryness required – iron, hanger or cupboard dry. Timed drying machines allow you to set the drying time in minutes from 30 to 180 in one go. With a spin speed of 1200rpm it can perform an express 45 minute wash and dry. Taking care of your denim is now even easier with this gentle wash. Your jeans are washed and dried perfectly, with extra care taken to preserve the rich colours. The Sports programmes are perfect for taking care of your technical fabrics and shoes. With a delay timer you can delay the programme for up to 24 hours according to your needs. Prepare the load, add the detergent, set the programme, and the machine will start at your chosen time.